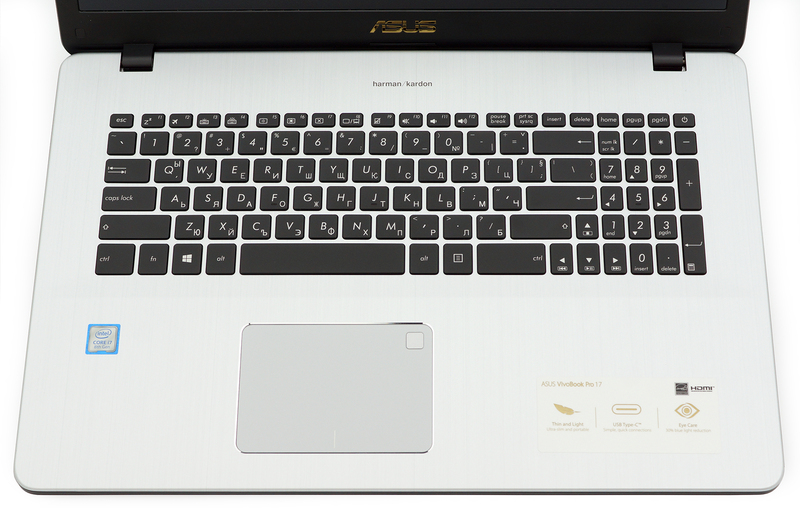 The ASUS VivoBook Pro 17 may sound familiar and you are probably expecting just a bigger version of the VivoBook Pro 15 but you are mistaken. It appears that the VivoBook Pro 17 is essentially different than the 15-inch model in a lot of ways and as always, the smaller model offers better price/performance ratio. However, there are some key selling points to the VivoBook Pro 17 that need to be considered. The main one is the brand new 8th Generation processor from Intel, which outperforms the Core i5-7300HQ in short workloads while being way more energy-efficient. But due to the bigger 17-inch panel, the VivoBook Pro 17 can’t fully benefit from the improved power management. 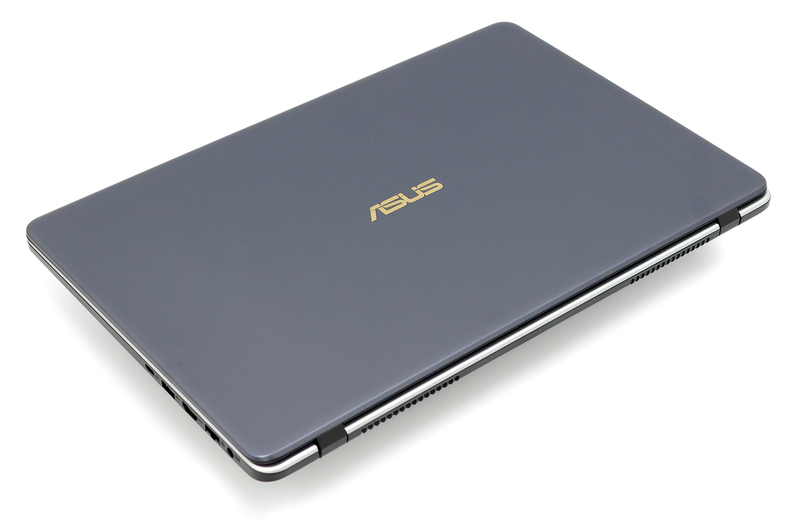 In any case, the VivoBook Pro 17 is immensely better than its direct predecessor, the ASUS N752VX in so many ways so if you are a fan of the multimedia lineup, you will surely like the latest installment as well. 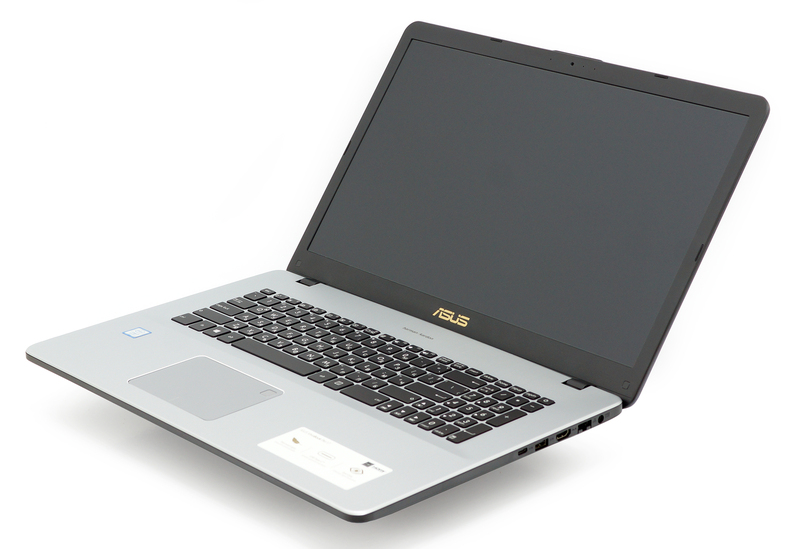 The OEM also offers a more budget lineup with GeForce MX150, although it still costs more than Acer’s 17-inch Aspire 5. So what are the benefits from choosing the VivoBook Pro 17 over the 15-inch model and its direct rivals? We find out in the full review below. 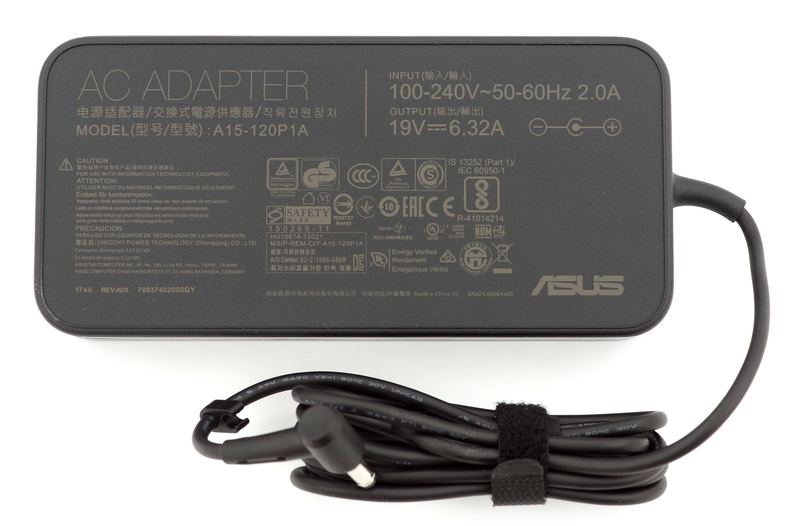 The box contains all the usual user manuals, AC adapter and power cord – nothing out of the ordinary. As we already stated, the VivoBook Pro 17 is essentially different than its 15-inch sibling and the design department is one of those key differences. Yet, the interior and lid are still made of brushed aluminum but the bottom of the base features black, slightly roughened plastic. We would have really appreciated the same color scheme all around like the VivoBook Pro 15 as this one gives it a bit more cheap look. But don’t let this fool you – the VivoBook Pro 17 is pretty sturdy. The lid is only flexible to some extent and doesn’t give under our twisting attempts very easily. The interior feels pretty solid as well with virtually no flexing. We also didn’t notice any prominent protruding edges or inconsistencies, although we could feel where the interior aluminum sheet and the base plastic cover meet on the sides. Anyway, we would also like to address the hinge design. Despite being made of plastic, they hold the lid pretty stable but are also a bit overly tightened – opening the machine with just one hand is practically impossible. 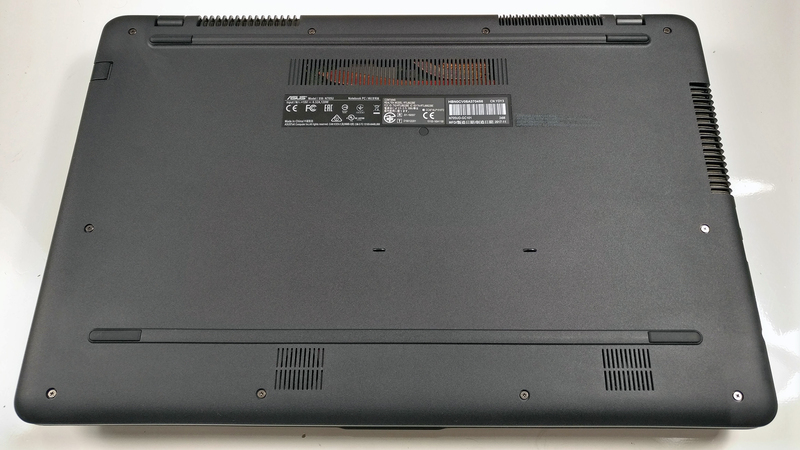 And finally, a mid-range 17-inch that fits the portable category. Weighing just as 2.1 kg and measuring just around 20 mm in thickness, the VivoBook Pro 17 offers the working space of a 17-incher and the portability of a 15-inch laptop beating all of its competitors in this regard. When it comes to keyboard and touchpad, the VivoBook Pro 17 surprises with nice and clicky low-profile keys and discreet LED illumination. Also, the layout is pretty standard so most of the users will get used to it fast. 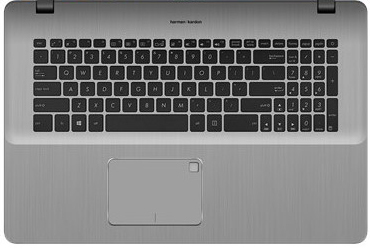 The touchpad is also pretty stable – offers light mouse clicks, it’s fairly accurate, registers gestures accordingly and it’s really easy to use on the go when needed. But what about connectors and interfaces? 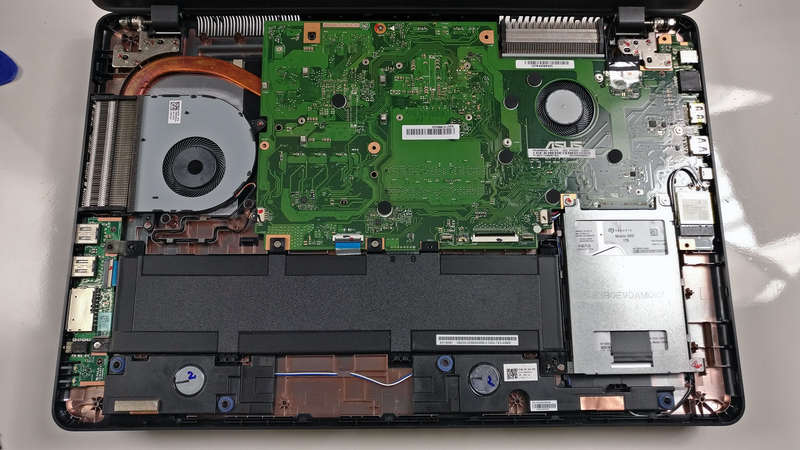 Well, just like most 17-inch laptops out there, it doesn’t offer a whole bunch of I/O – it actually comes with the bare minimum of ports for a 15-inch device. We also have a healthy port distribution – on the left, you will find two USB 2.0 ports (no USB 3.0 unfortunately), SD card reader and a 3.5 mm audio jack. And on the other side, you can use the RJ-45 LAN port, HDMI, USB-C 3.1 (Gen 1) and a standard USB-A 3.0. Unfortunately, upgradability on this thing is a huge nightmare. It does offer all the usual drive slots and memory slots but accessing them is a big hassle. 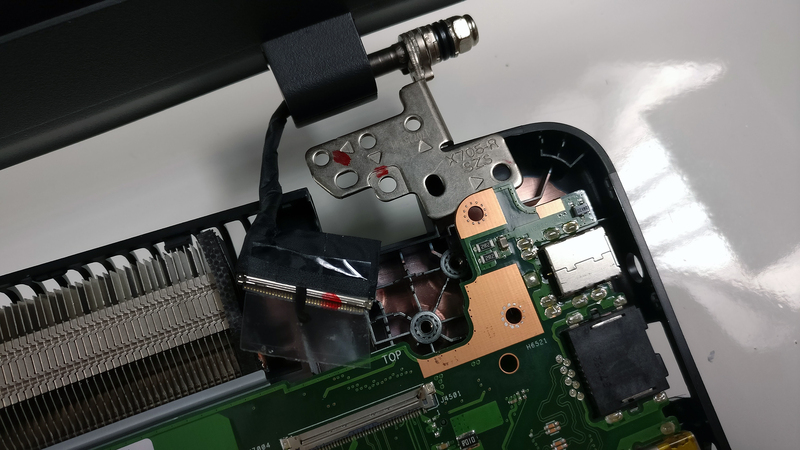 First, you have to remove all the screws on the bottom (there’s one in the middle hiding under a rubber cap), gently pry up the interior and detach all the cables that you encounter – they should be four. 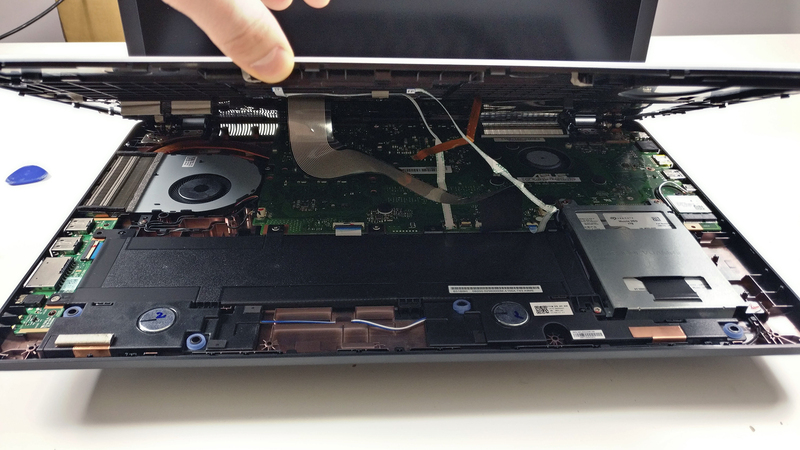 Once you’ve removed the interior, you can only reach the 2.5-inch HDD and the battery. For the rest of, you have to flip the motherboard around. 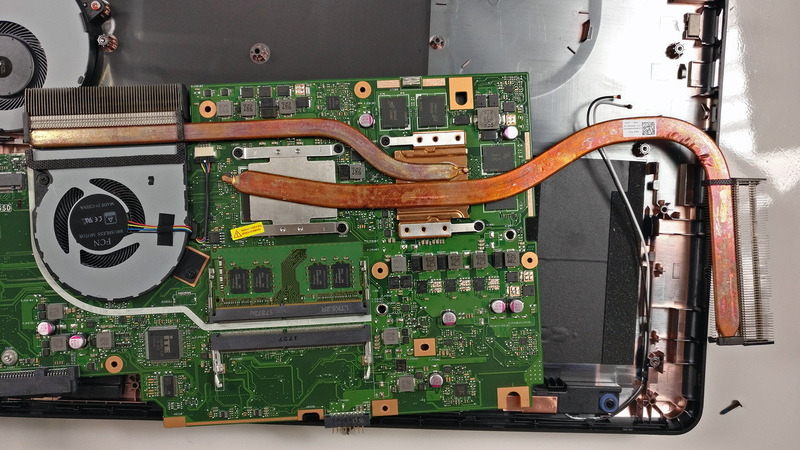 In order to do so, you have to detach the right hinge and be careful not to damage the heatpipes and radiators when pulling the motherboard out. 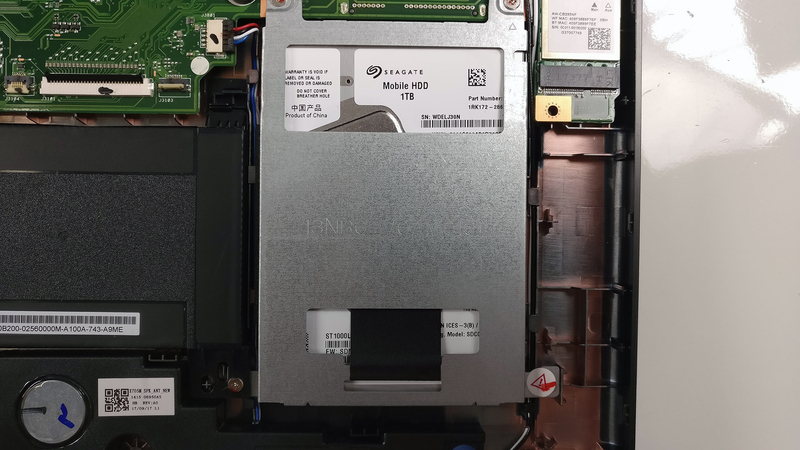 This will give you access to the RAM slots and the M.2 SSD slot. 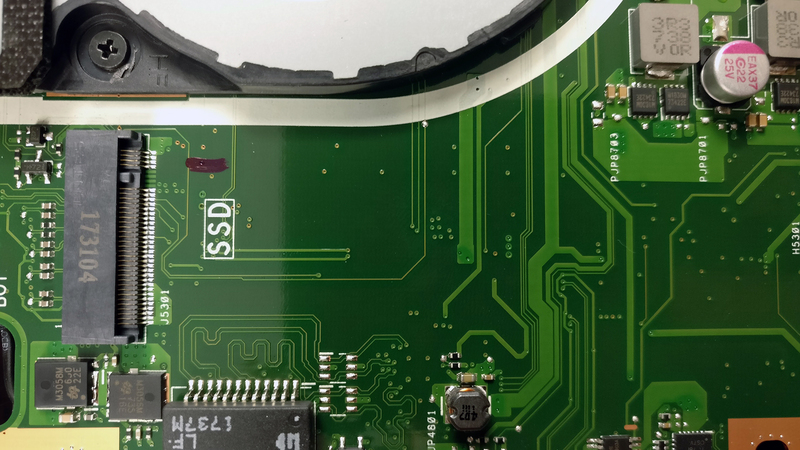 As we already said, the motherboard holds a standard 2.5-inch HDD and an M.2 SSD slot with the latter supporting PCIe NVMe drives as well. It has become a standard anyway. The unit we’ve tested, however, was running only a 2.5-inch 1TB Seagate HDD. 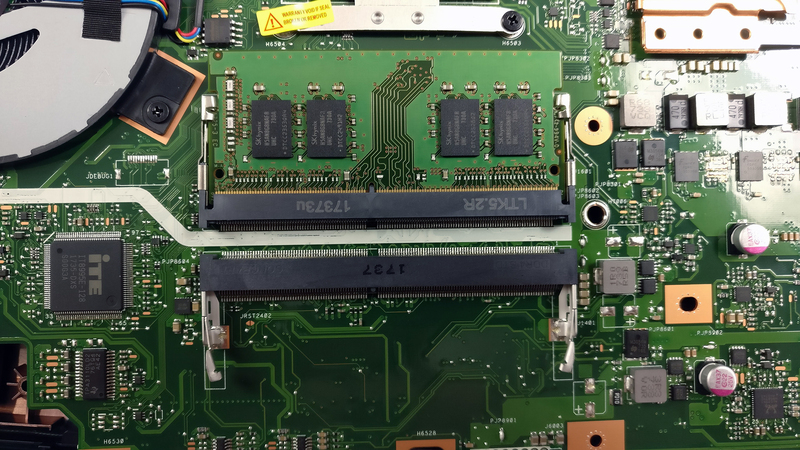 On the other side of the motherboard you will find two memory slots each supporting up to 16GB of DDR4-2400 memory. 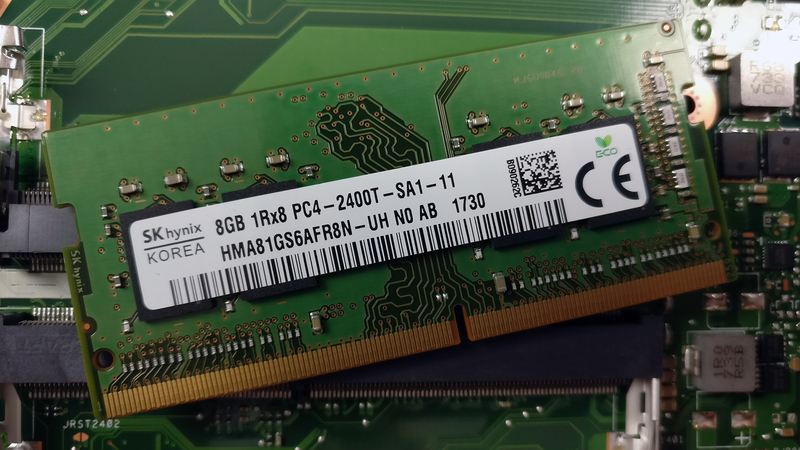 Our unit, however, came with just one RAM slot available for upgrade while the other one holds an SK Hynix 8GB DDR4-2400 chip. 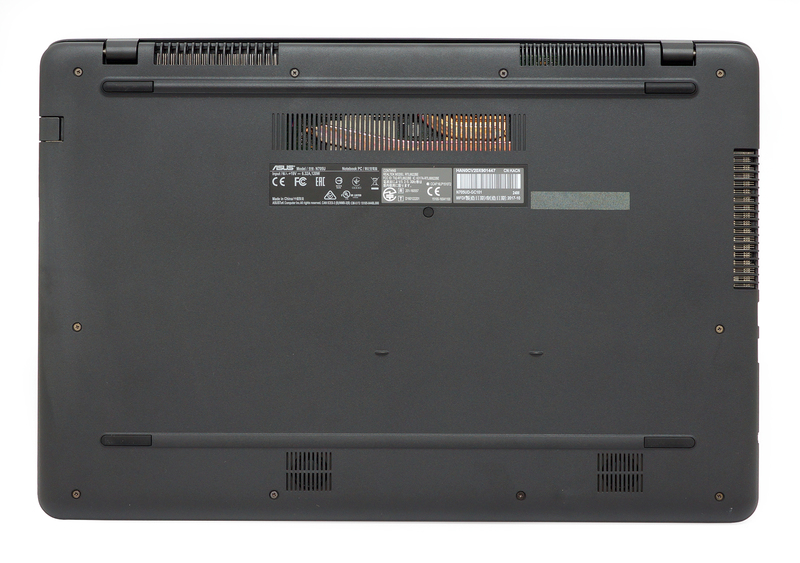 The battery can be found under the wrist rest area and can be accessed easily. 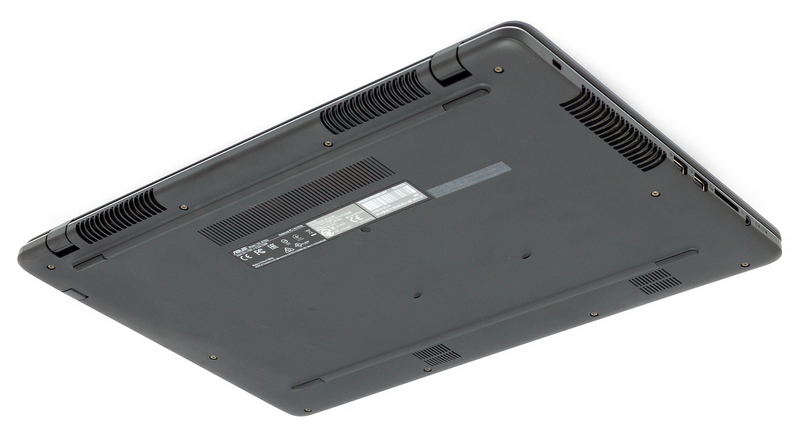 It’s rated at 42Wh so given the 17-inch diagonal, we don’t expect mind-blowing endurance. The cooling system is rather interesting – it has two heatpipes (one is shared by both heatsinks while the other one is dedicated to the GPU) and two cooling fans – one blowing the air out the back and the other one dispersing it from the left side. 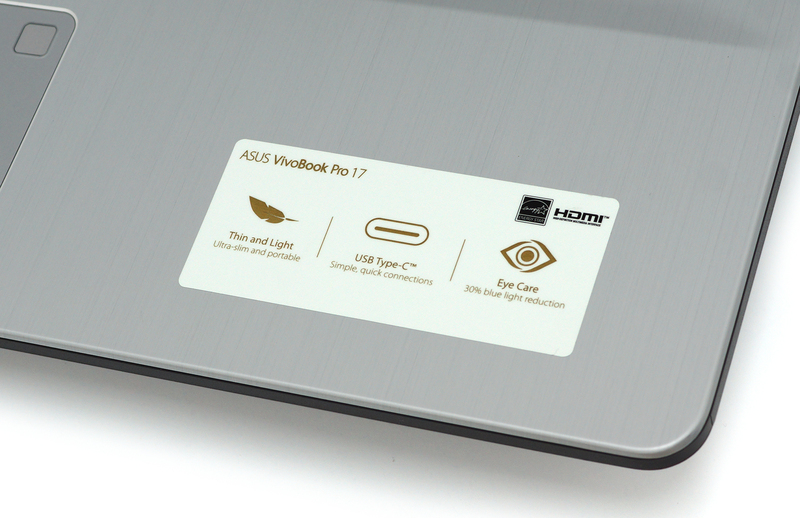 The ASUS VivoBook Pro 17 comes with a 17.3-inch Full HD (1920×1080) IPS panel from AUO with model number B173HAN01.3. The pixel density is 127 ppi while the pixel pitch is 0.1995 x 0.1995 mm. It can be considered as “Retina” when viewed from at least 69 cm. We’ve recorded a peak brightness 360 cd/m2 in the center of the screen and 352 cd/m2 as average across the surface with just 9% maximum deviation. The correlated color temperature at maximum brightness is almost identical to the optimal value – 6530K and falls a little lower when going along the grayscale – 6400K. You can see how these values change at 140 cd/m2 (50% brightness) in the image below. The maximum color deviation dE2000 compared to the center of the screen should be no more than 4.0 and if you are planning to do color-sensitive work, it should be lower than 2.0. But in this case, since the laptop is going to be used mostly for office work, web browsing, multimedia and probably sometimes gaming, a deviation of 2.51 is a good result. 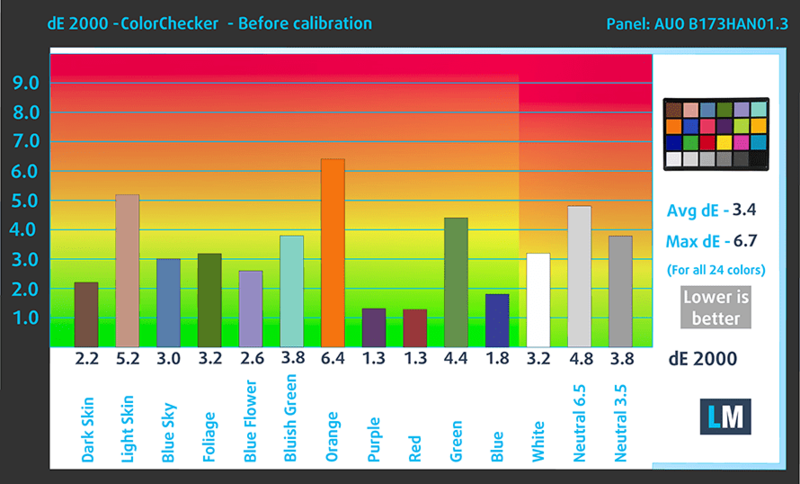 The contrast ratio is exceptionally high – 1440:1 before calibration and 1380:1 after calibration. The display covers 92% of the sRGB color gamut so colors will appear vibrant and rich, especially when a good color calibration is applied. Our equipment didn’t detect any light pulsations throughout all brightness levels so it should be safe to use in this regard. Despite the relatively low price of the VivoBook Pro 17, configurations with 1080p displays offer excellent image quality thanks to the wide sRGB coverage, high contrast, high maximum brightness and relatively accurate color reproduction out of the box. In addition, the panel is PWM-free so it’s safe to use during long working sessions, for example. The stereo loudspeakers provide clear and high-quality sound in the low, mid and high frequencies. 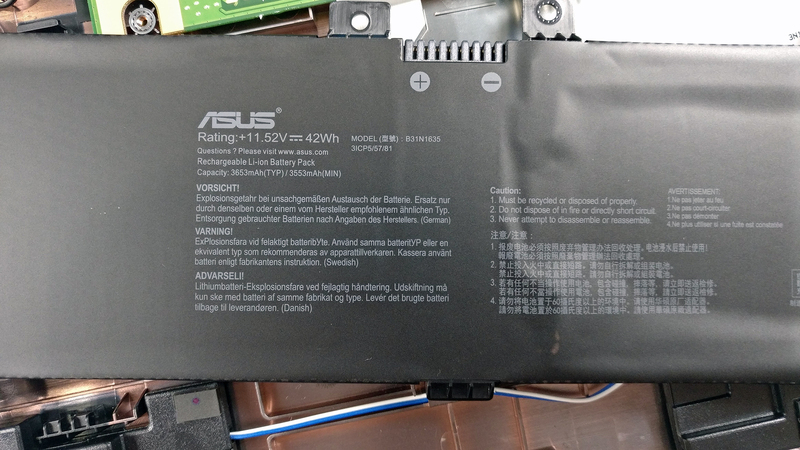 As expected, the 42Wh battery isn’t enough for any ground-breaking results considering the energy-sipping 17.3-inch IPS display but it did hold up pretty well considering that most 17-inch notebooks on the market offer poor battery life. Let’s just say its a little above average. Here you can see an approximate comparison between the CPUs that can be found in the ASUS VivoBook Pro 17 N705 models on the market. 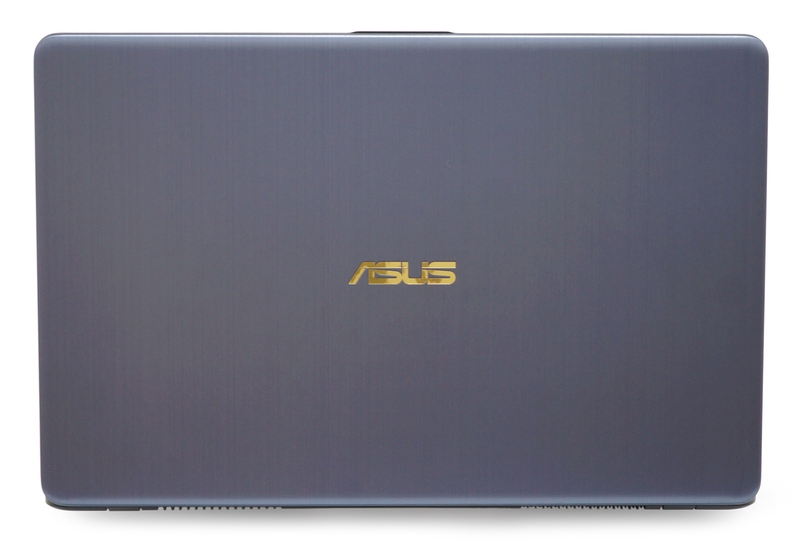 This way you can decide for yourself which ASUS VivoBook Pro 17 N705 model is the best bang for your buck. Here you can see an approximate comparison between the GPUs that can be found in the ASUS VivoBook Pro 17 N705 models on the market. 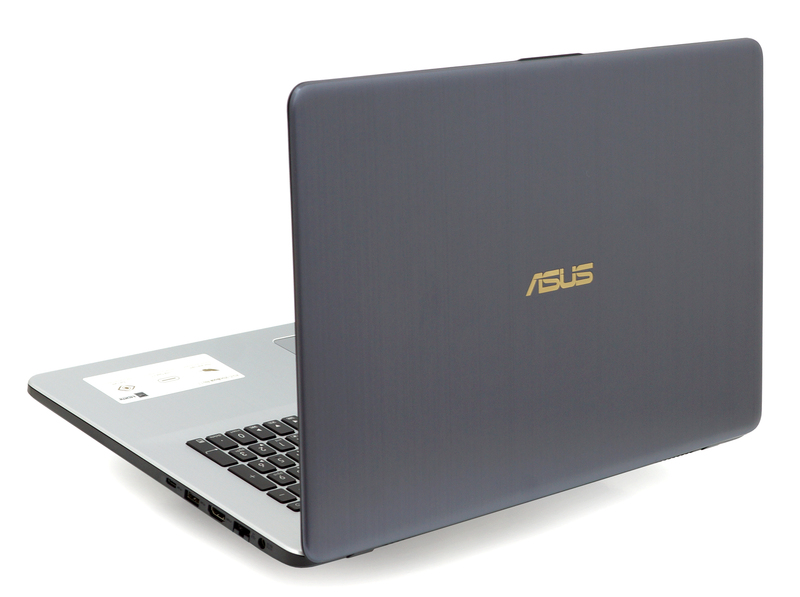 This way you can decide for yourself which ASUS VivoBook Pro 17 N705 model is the best bang for your buck. The stress tests that we perform don’t represent real-life usage scenarios because even the most demanding games don’t require 100% CPU and 100% GPU load all the time. However, these stress tests remain the most reliable way to assess the overall stability and effectiveness of the cooling system in the long run. 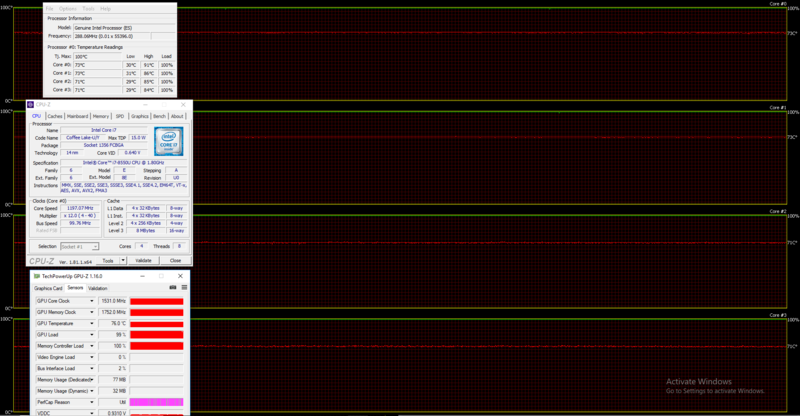 We started off with 100% CPU load for about an hour. At first, the Core i7-8550U ran at about 3.6-3.7 GHz for a few seconds before gradually going down to 2.5 GHz. 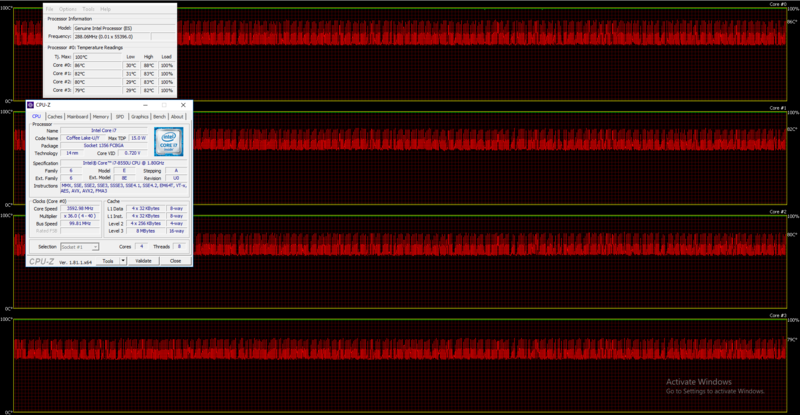 Shortly after, the chip’s frequency started fluctuating between 1.8 GHz and 3.5 GHz but no thermal throttling occurred. In fact, the chip was running at reasonable temperatures. Turning on the GPU stress test resulted in CPU throttling at around 1.2 GHz while the GTX 1050 was running at full speed while maintaining a bit higher than usual temperatures – 76 °C. We’ve recorded stable and relatively low temperatures on the surface around the keyboard. Even though the 17-inch VivoBook Pro and the 15-inch one differ in many ways, there’s one thing in common – they are both well-balanced multimedia notebooks. The VivoBook Pro 17 quickly became one of our favorite mid-range 17-inch notebooks currently on the market. It has good build quality with minor design flaws and exceptionally portable chassis – thinner and lighter than the competition. Input devices are also pretty solid and should serve you fine on the go. When it comes to performance, the VivoBook offers plenty of configurations combining the 8th Gen Intel CPUs and GTX 1050 or relying on NVIDIA’s less demanding and budget-oriented MX150. Whichever configuration you choose, you will enjoy relatively silent operation, full utilization of the hardware and decent cooling performance. It’s still a bit pricier than Acer’s Aspire 5 and Aspire 7 notebooks, though, but it offers better portability in return. But if price/performance ratio is essential, you might be better off with the Aspire 7 with Core i5-7300HQ processor and GTX 1050 or with the 15-inch VivoBook Pro sporting either Core i5 or Core i7-7700HQ paired with GTX 1050. When it comes to image and sound quality, the VivoBook Pro 17 proves to be a worthy successor to the legendary multimedia lineup excelling in both areas – clear and punchy sound and a Full HD IPS panel ensuring rich and vibrant image. It’s also PWM-free so it should be safe to use for long periods of time by users with sensitive eyes. There is, however, one aspect that’s not exactly user-friendly and that’s the upgradability. A full disassembly of the device is required just to reach the M.2 SSD and memory slots. Just keep that in mind. Do we recommend it? For sure! The VivoBook Pro 17 might charge a few extra bucks over some of its competitors but compelling features like rich sound, vibrant screen, portable chassis, solid build quality and comfortable input devices are hard to ignore. If you are looking for any close alternatives, probably the 15-inch version of the VivoBook Pro and Acer’s 17-inch Aspire 5 and Aspire 7 lineups are your best bet. 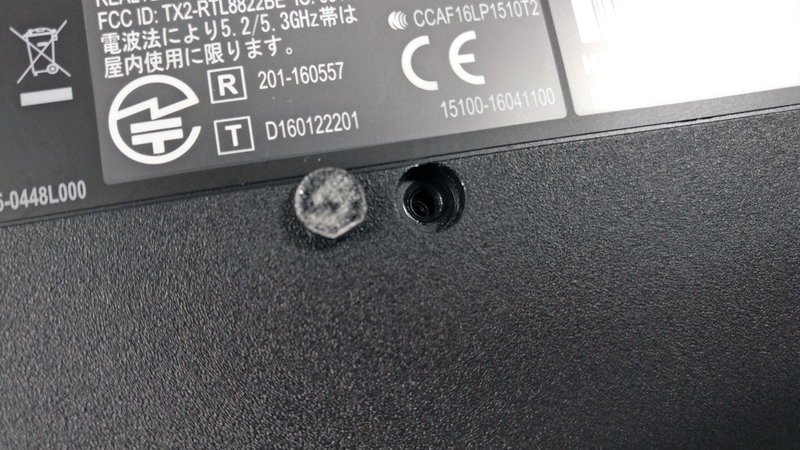 Just wanted to thank you guys for your work on rating this laptop, it’s very helping. It’s hard to find good in-dept reviews on 17 inchers these days. Could you tell me the exact model that was tested N705UD-??? 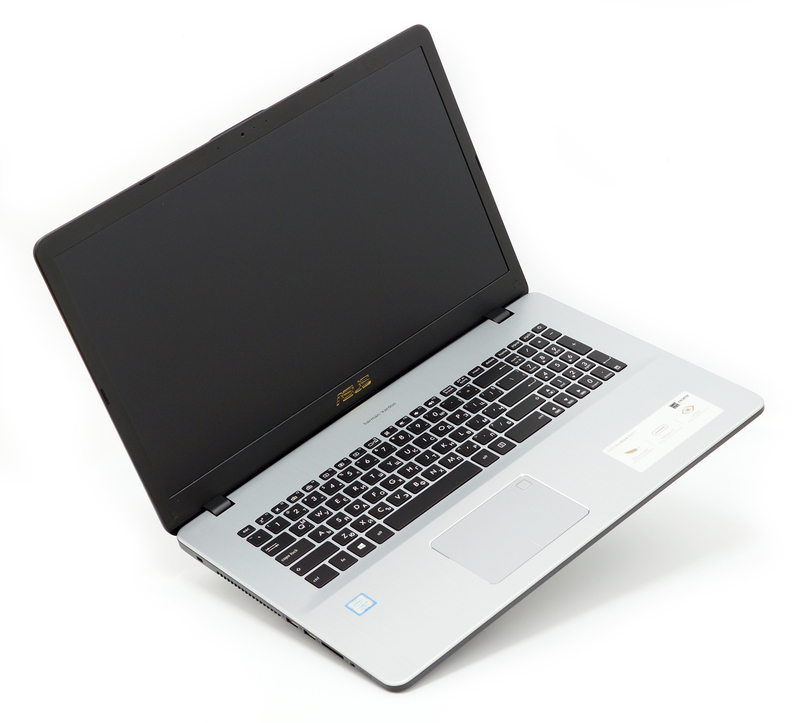 because I would like to buy the one with the AUO B173HAN01.3 screen panel. Can you please check if the USB type-C port can deliver 4k video through DisplayPort? according to manufacturer, this is not possible, but maybe they added the feature with the use of 1050.
also, what the version of HDMI? 1.4 or 2.0?